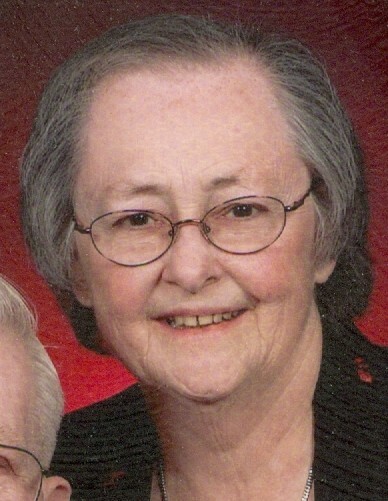 Joan J. Grothusen, 86, of East Moline, formerly of Rock Island, passed away Wednesday, April 10, 2019 at the home of her daughter, Linda. A Mass of Christian Burial will be celebrated at 10:00 a.m. Wednesday at St. Mary Catholic Church, Rock Island. Recitation of the Holy Rosary will be 4:00 p.m. Tuesday at Wheelan Pressly Funeral Home and Crematory, 3030 7th Ave., Rock Island, where visitation will follow the Rosary until 7:00 p.m. Burial will be in Rock Island National Cemetery, Arsenal Island. Memorials may be made to Alleman Catholic High School or to Intouch Active Day Services, Moline. Joan was born September 25, 1932 in Davenport, a daughter of Frank E. and Cesariene P. Noens DePaepe. Joan attended St. Joseph’s School and was a member of the first graduating class at Alleman High School. She married Keith R. Grothusen on January 12, 1952 at St. Joseph Catholic Church, Rock Island. Keith passed away October 18, 2008. Joan worked at Wagner’s Printers, Inc. for 36 years, retiring as the head bookkeeper. She was very active in her church, first at St. Joseph and then at St. Mary Catholic Church. She served as church secretary and was active in the Altar and Rosary Society. In her spare time, Joan loved spending time with her family, embroidery, bingo, occasionally visiting the casino and bowling in her earlier years. Left to cherish her memory are her children, Linda (Michael) Fenner, East Moline; Mary Jo (Jeffrey) Anderson, W. Des Moines, IA; Kathleen (Holly McNeil) Cincola, Bettendorf; 8 grandchildren; 2 great grandchildren; and many extended loving family members and friends.